Written and produced at Ural 13 Studios, Helsinki. 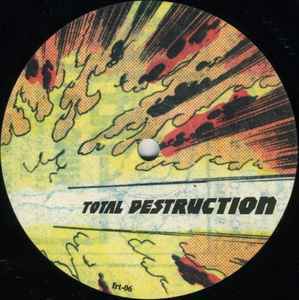 A2 is a promotion for the Album Total Destruction LP and starts with a sample from the Amiga demo "Total Destruction" by Crionics, 1990. The Rex club-Paris went crazy when this remix was played by resident dj Antony Adam. "Night Club Red Star" on the B-Side is built around several elements of the 1984 Synth Pop Classic "One Night In Bangkok" by Murray Head.